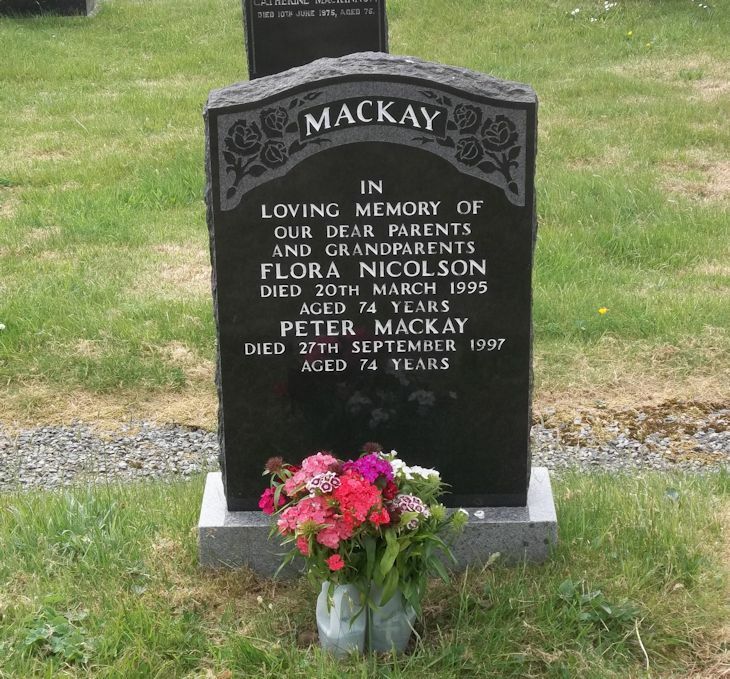 Skye Gravestones | Flora (Nicolson) & Peter Mackay. Flora (Nicolson) & Peter Mackay. In/loving memory of/our dear parents/and grandparents/FLORA NICOLSON/died 20th March 1995/aged 74 years/PETER MACKAY/died 27th September 1997/aged 74 years.